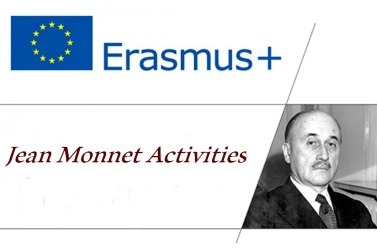 Five Institutes of the Scuola Superiore Sant’Anna (DIRPOLIS, Biorobotics, TeCIP, Management and Economics) will constitute the new Jean Monnet “Centre of Excellence on the Regulation of Robotics and Artificial Intelligence – EURA”, which is the first Center of Excellence on Law&Technology established in Europe! The Jean Monnet Centre of Excellence is the most prestigious program financed by the European Commission under the Jean Monnet actions. It constitutes a focal point of competence and knowledge on European Union subjects, by bringing together high-level experts to create links between various disciplines and resources in European studies, and with academic institutions in other countries. It plays a key role in reaching out to students, policy makers, civil servants and society at large. Building on the experience and methodology of the Robolw Project the Jean Monnet Module "Europe Regulates Robotics", The Centre of Excellence will further develop the research on the regulation of robotics and artificial intelligence by constituting a cultural hub for academics, students, businesses, society as a whole and policy-makers, resorting to the multidisciplinary methodology conceived within the Robolaw project. It will organize workshops, PhD courses, summer schools, prizes, innovation boot-camp, blogs, online video-series, policy-papers and various publications. The kick off meeting of the Project will be held in Brussel, on the 26th of November. Keep an eye open for the many activities which will be carried out by the Centre of Excellence in the next three years!